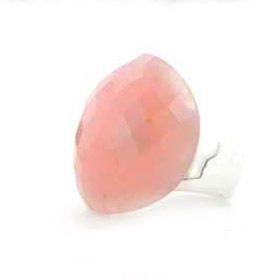 Natural rose quartz is a semi opaque gemstone sometimes completely opaque, sometimes translucent. 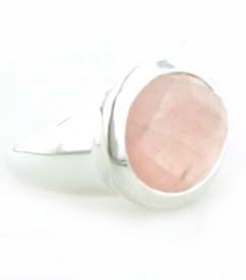 Our rose quartz rings show the different gaces of this delicately coloured stone. 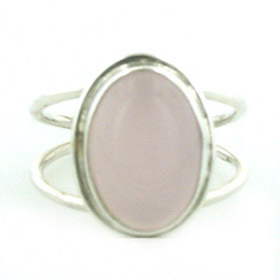 This graceful pastel pink looks excellent in silver. 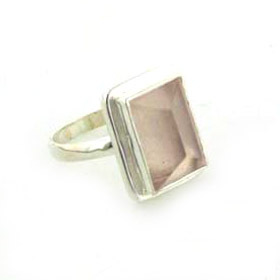 Don't stop at arose quartz ring! Shop for rose quartz earrings and a rose quartz necklace plus much more.